(1) The first refers to people who believe in a religion that is not Christianity, Judaism, or Islam. So in that sense, YES, Buddhists are pagan. (2) The second definition refers to people who practice polytheistic religions (belief in more than one God) such as Wiccans or the ancient Greeks. In this sense, NO, Buddhists are not pagan, because Buddhism is a non-theistic religion (no God), it’s more spiritual/philosophical. Many people will say that Buddhism is NOT pagan. This is not because of its “age of ritual”, but because pagan refers to the belief & worship in the God / Gods that predate the Abrahamic religions. Buddhists don’t concern themselves about God or Gods. Buddhists concern themselves with the Dharma, which is not a god or gods. It is “truth” or “reality”. This is why many say Buddhism is not pagan, because there is no ritual between themselves and a God or Gods. However, some place Buddhism as pagan simply because of “age of religious ritual”. For the presentation of this video, I am placing it as “pagan” to help the viewers understand its age, and its relation and commonality within witchcraft / magick. Various components of the shinobi shōzoku (忍び装束). 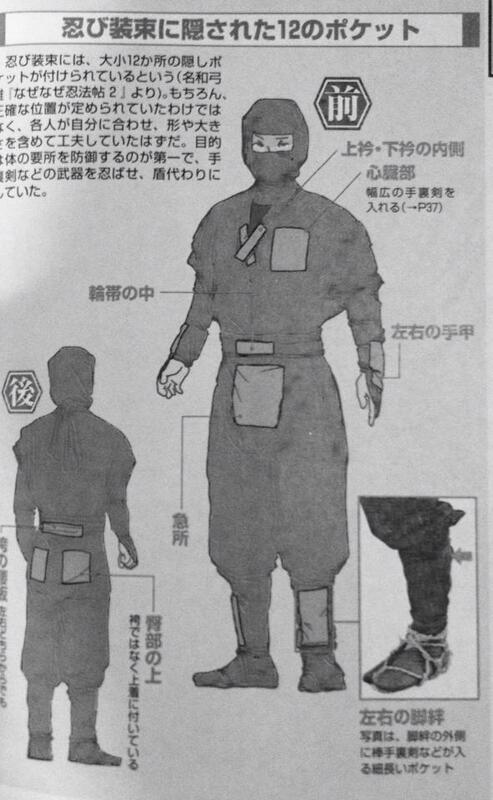 The traditional outfit worn by the historical ninja / shinobi. 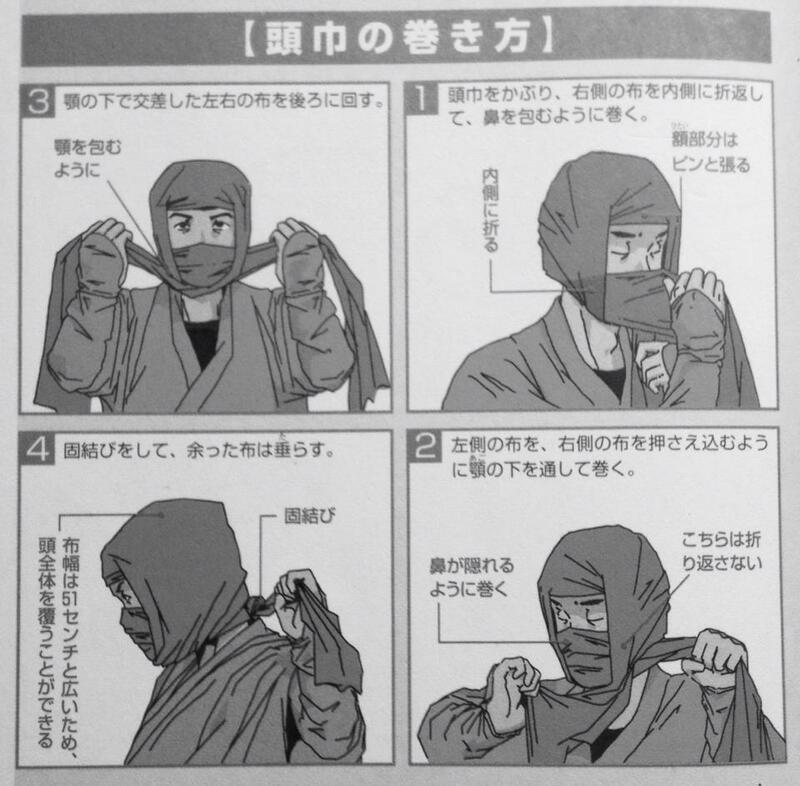 Classic ninja methods of using two Sanjaku-tenugui (三尺手拭い) to create a Ninja Zukin (shinobi hood / mask). 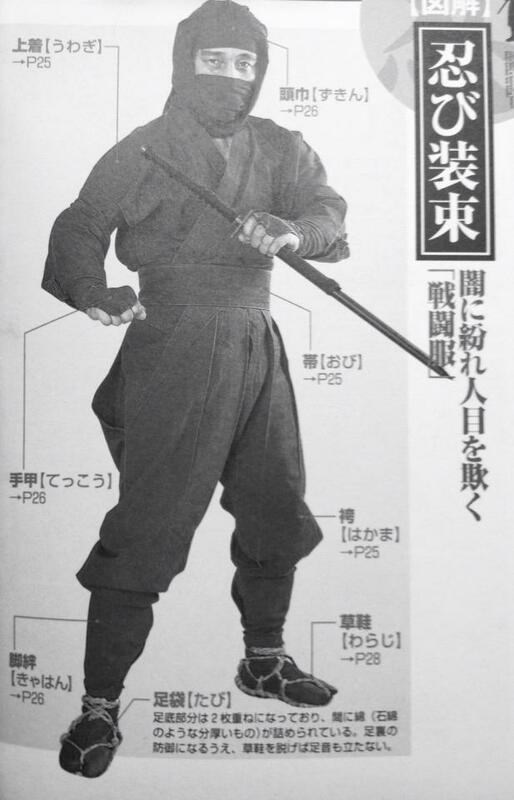 The shinobi shōzoku (忍び装束) is the traditional outfit worn by the historical ninja / shinobi.